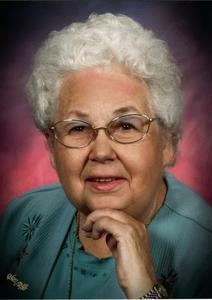 Ann Marie Kleis Hoeksema, age 80, passed away in San Antonio, TX. She was born January 30, 1938 to Russell and Alice Marie (Hyma) Kleis in Holland, Michigan. She graduated from Holland High School in 1956, the University of Michigan in 1960 and has Master’s Degrees from the University of Michigan and the University of Texas in San Antonio. She taught middle school science for 20 years. Ann Marie is preceded in death by her husband Dr. Gordon James Hoeksema, her parents Russell and Alice Marie Kleis and her aunt Willamine Hyma. She is survived by her son Alvin J. Hoeksema and daughter-in-law Jennifer of Spring Branch, TX., brother Dr. David Kleis and his wife Bonnie of Muskegon, MI, sister-in-law Diane Kleis of Boulder, CO, niece Deborah Ardila and husband Fabien and great niece Gabrielle of Boulder, CO, cousins, nieces and nephews. Raised in Holland, Ann Marie attended the Holland Gospel Chapel. During her husband’s career in the US Army, she lived in several places including Germany. Ann Marie moved to Texas in 1975. She was a member of Bible Study Fellowship and volunteered at San Antonio Pregnancy Care Center. Recently she lived at Franklin Park TPC Parkway Assisted Living Facility. She was a member of Concordia Lutheran Church in San Antonio.